In Act 3, Scene 1, as part of Hamlet’s famous “To be, or not to be?” soliloquy, Hamlet wonders if in death, which he assumes is only sleep, what dreams may come. And whether they are different from the dreams of the living after the distractions of daily life have been removed. He wonders if these dreams are to be feared, which, he posits, may be the reason we are unwilling to end life’s suffering at our own hand. Such are the thoughts of a plotting Danish prince who knows his uncle has recently murdered his father and married his mother to make himself king. But the premise upon which this fantastic speech is based is one I can appreciate but not experience. You see, Hamlet dreams. I do not dream, and therefore, do not experience worlds beyond the one my eyes reflect. Reality is my only realm. The wondrous, stupefying, and horrific experiences of reality comprise all of my knowledge. I am not the unwitting audience of my imagination’s creation and performance each night. People’s wishes of “sweet dreams” are lost on me. So, too, any dread of nightmares. But is that a willing price, were I able to negotiate this? I think so. I wish I could dream. That is my waking dream. So why not me? I’ve heard people say we all dream, it is merely a matter of when during the sleep cycle we awaken that allow us to recall dreams. However, I find it improbable that I can awaken every morning in any sequence of sleep other than that which will enable me to remember dreams. And this is in spite of the fact that I do not go to sleep at the same time every night and that my sleep is unnaturally interrupted each morning by an alarm clock rather than me surfacing from my slumber of my own volition. Of the 365 nights each year, I may recall five dreams, essentially one dream every two and a half months, meaning over 98% of the time I will not dream. By comparison, Rosencrantz and Guildenstern flipping a coin and it landing on heads 85 times in a row seems relatively unremarkable. I can think of no higher representative of humanity than our imagination. It can be both terrible and beautiful. No other creature possesses this power. Schools and society attempt to beat imagination out of us, which is why children should be encouraged to maintain and develop their creativity separate from the societal structure and the constraints we place upon them. And in no realm other than sleep does imagination manifest itself freer than in our dreams. This condition leaves me longing for (and angry about and jealous of) what others tell me from time to time. People will, on occasion tell me they dreamt about my late wife. How it was nice to see her, hear her, laugh with her, as if she had taken the train from heaven to spend a little time with them in some previously negotiated agreement with God in a place between heaven and earth called sleep. Please do not misunderstand. I am very happy for them if it brings them comfort and happiness. Perhaps, too, they have the obverse of that same coin. Maybe they have nightmares about her suffering and dying (presumably not previously negotiated with God by Lisa) and they compassionately choose not to share those unwelcome dreams with me. But I am left wondering if I am somehow not worthy of these almost tangible meetings. 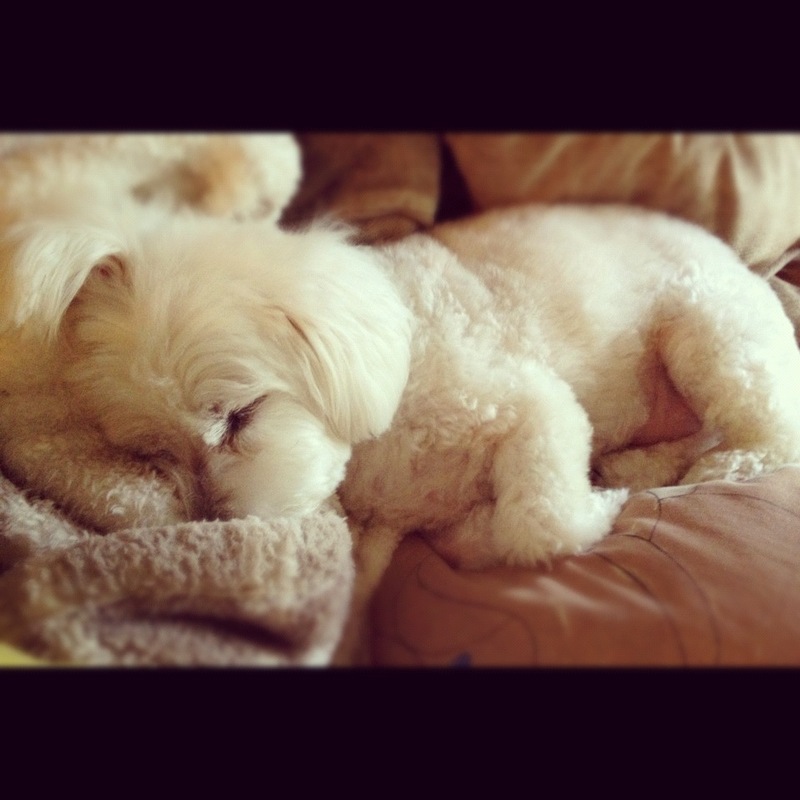 As if I am doing something wrong when I sleep. It leaves me lost in my waking conscience and subject to my limited imagination. Daydreams are malleable, but predictable in that they are rendered on the plane of consciousness, limited to reality’s laws of physics and rationale. Any comparative daydreams of mine are, in fact, nothing more than misremembered or subjective memories. Not so dreams. People dream of flying, falling, and, of course, spending time with people both famous and familiar who have died. Why not me? Nothing against anyone else, but why not me? 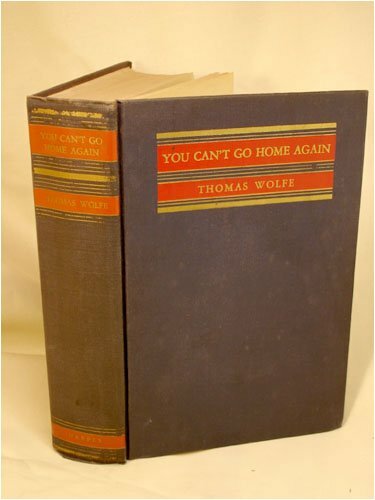 Published in 1940, two years after the loquacious author Thomas Wolfe unexpectedly died, You Can’t Go Home Again belongs to a select group of novels whose title has entered American speech as a catch phrase. Catch-22 also enjoys this status of being a book few have read but we all seem to use the phrase in daily life with a winking acknowledgment. We all know what “you can’t go home again” means, but a deeper understanding of the sentiment behind the phrase yields a bountiful crop of compassionate undergrowth. To begin with the obvious, anyone returning to their hometown following a period away notices the changes. Gone is the local drug store, replaced by a pharmacy chain. Gone is the chain toy store you once protested against when it bought out the local toy store. Gone is the barber shop at which you used to get your hair cut, where they had to use the booster seat to allow you to sit high enough for the barber, who doubled as your neighbor. Mom and Pop stores are eaten by chains, which are, in turn, swallowed by larger chains; themselves prey to the threat from the internet and online shopping. Sure, the ice cream parlor still remains, but the menu has changed, the furnishings updated, the uniforms different and the charm captured by childhood gone. Restaurants change name, fields become strip malls and the potato farm beyond the outfield has grown into a neighborhood. Still, the phrase refers to to time not distance or travel. How often is the frustration of the dieter who weighs themselves daily validated by the comments of those who do not see the individual on a daily basis? How many times do we catch our reflection in the morning mirror wondering who that old person is staring back? So too, is the change of “home” incremental yet perpetual. Daily life contains checklists, both mental and written, which drive our actions. Get to bed at a “decent” time tonight. That twitch in my lower eye lid is driving me crazy. Seldom do we slow down enough to see how much has changed. Perhaps this is done on purpose. Each of us carries a mental picture of everyone else in their mind. Ask yourself, “When was this “picture” snapped?” My image of my grandfather (my father’s father) was snapped in his basement, hovering over his workbench. When was that? 1970-something? My image of my grandmother (my father’s mother) is of her sitting at her kitchen table scratching at the incessant itching in her hands, offering me one snack after another. When was that? My image of my other grandmother (my mother’s mother) resides in actual snapshots; photographs I’ve seen which merge with stories I’ve heard from those older than me, and thus capable of holding a memory. And so it is with everyone I’ve ever met. Name someone and I will unconsciously recall a moment in time and an age of that person at which they are forever frozen. This is one of the conundrums I have with the concept of heaven. Should I die and be admitted to the ultimate club and see my paternal great-grandmother (who, in my youth seemed to be Methuselah’s age when she died), how old would she seem to me? And at what age would she appear to her great-grandmother who died when my great-grandmother was in cloth diapers in Italy? Memories rush up to meet us without recall demands made; the mystique of “family” softened by the endless waves of time. There is a promontory rock in my hometown against which an endless line of waves crash. This rock has endured wave upon wave since before my birth and will endure them for countless millennia after I die, with little change to the rock. Ovid said, ““Dripping water hollows out stone, not through force but through persistence.” Persistence measured in thousands of years eludes my capacity of comprehension. Can all of this be summarized as “stop to smell the roses?” Maybe, but we never seem to take the time to add it to our list of things to do. We can go home again, if only in our memories, and there, we have never left.